Pink Floyd’s The Wall — a dark and enduring rock masterpiece that deals with personal alienation juxtaposed against a backdrop of war and government corruption — has been presented in many formats over the years. First came the 1979 double album (co-produced by Bob Ezrin) that spent 15 weeks a top of the Billboard 200 album chart and became not only one of the most successful releases in Floyd’s catalog (second only to 1973’s Dark Side of the Moon), but also the last album to feature the band’s classic lineup of Roger Waters, David Gilmour, Nick Mason and Richard Wright. Billboard: Throughout your career you’ve been an artist who looks forward and explores. So what is it about The Wall that makes it worthy of such attention and reassessment? Roger Waters: All those years ago when I wrote this piece, I thought it was about me, and about feelings that I had about my Dad being killed at Anzio [in Italy during World War II], how much I missed him, and the fact that I’d made some really poor choices in relationships with women — all of that crap. Which it was. It’s well documented that you were unhappy with the overall experience of the first Wall tour. What went wrong? I remember doing the shows [back in 1980]. They were a nightmare. Everybody would tell you exactly the same. I remember Earl’s Court, we had separate [trailers] as dressing rooms, the four of us, and they were all circled like the pioneers in covered wagons, and all the doors faced outward. Isn’t that great? There was so little community by then. And that’s not to knock any of us. David, Rick, Nick and I were no longer together, so we faced outwards. We did the work, and the work wasn’t bad. I still own all the film of those, which I’ve been editing a bit, and I might even release it at some point. What inspired you to rebuild The Wall for the elaborate 2010 stadium tour? [What] excited me about revisiting the piece … was making a version that would work in stadiums and ballparks and football stadiums, which is ironic, because my starting point was my disaffection with that situation. But I’ve come to realize that not only does it work in big spaces, its appeal is such that people in big spaces feel intimately connected with the message. Pink isn’t a character that’s ever particularly happy, and I presume you were struggling with certain things when you wrote that character. But now you seem like a happy guy. So do you still relate to Pink? I feel much less of a victim now. I’ve taken control of my life. I’m capable now, 30 years older and a little bit wiser, of resolving a lot of the issues that I wasn’t capable of resolving at the time. After Endless River: More Floyd Music on the Way? You’ve said that the loss of a father is the “central prop” on which The Wall stands. That angle of it, as I know, doesn’t go away. You live with it. You live with it. But if it’s in any sense a gift — and I may get a bit wobbly here, because it means a lot to me — the gift is it encourages us to empathize with others. I don’t know if you know or not, but we have 20 vets we give tickets to every night, and they come backstage at halftime, so I spend most of my 25-minute break with them. I sign photographs, and we talk a bit, but we never talk politics, because that would be entirely counterproductive. But somehow they get that, whatever our politics might be, that I empathize with their situation. I don’t invite them backstage because I applaud American foreign policy or because I’m jingoistic. I invite them backstage because I feel that to some extent I understand not only their plight — a lot of them have been wounded physically, very badly, but also been mentally scarred — but also that their families suffer, and they suffer in the same way that I suffered as a kid. There was one guy about 70 or 80 shows ago — he was an older guy, a Vietnam guy — he stood back and he didn’t want a photograph or an autograph, but I noticed him and he just watched me. And when I was leaving the room, he just sort of stopped me, so I paused for a minute. I was just about to go back onstage. He looked me in the eye and he said to me, “Your father would be proud of you.” And I was fucked. I couldn’t speak. It was such a weird, emotional moment. I kind of swallowed a couple of times, and then I went on and we did “Hey You” and we carried on with the second half. Because, as you know, the show must go on. But it was deeply moving. 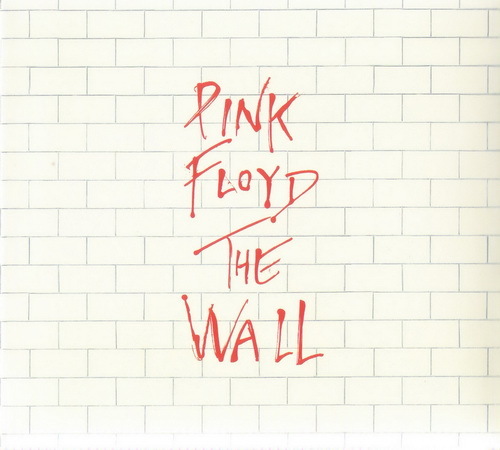 via ‘The Wall’ Turns 35: Roger Waters Revisits Pink Floyd’s Enduring Rock Opus | Billboard. This entry was posted in Album, CD, Concert, DVD, Film, Live, mp3, Music, Pop, Rock and tagged 1979, 1980, 1981, 1982, 2-CD, 2-LP, 2010, Another Brick In The Wall, Another Brick In The Wall - Part II, Billboard, Bob Ezrin, Columbia, Dave Gilmour, Double Album, EMI, Gerald Scarfe, Harvest, James Guthrie, Nick Mason, Pink Floyd, Richard Wright, Roger Waters, The Wall, UK, US, USA, Video. Bookmark the permalink.